This event will explore some of the innovative ways your business can pay and reward your team. What are the income tax and fringe benefit tax implications of these? What works in practice and what doesn’t? What are others doing in this space? Come along to this event to explore this topic with your fellow business owners. This event will be held at Elevate CA, level four 35 Robert Street Whangarei at 5:30pm on Thursday 15 March 2012 – and will run through to 7:30pm on the night. Rebecca Brennan. Rebecca is a director of Elevate CA – and she is Rebecca is an experienced leader and motivator of high performing teams. Rebecca has a lead-from-the-front ethos – and a wealth of great coal-face experience including tips and potential pitfalls in tying remuneration to measurable performance while maintaining a positive and energised culture. Rebecca will discuss some of the innovative ways businesses are paying and rewarding their teams. Fraser Hurrell. Fraser is also a director of Elevate CA – and he will discuss some of the tips and traps from an income tax and fringe benefit tax point of view. Some ways of remunerating and motivating your team look good on paper – but have a possible sting in their tail when it comes to tax time. A knowledge of the pitfalls – and some planning up front can ensure your remuneration strategy is tax compliant and tax efficient. Typically there is as much value to be gleaned from the discussion on the floor as there is from the panelist presentations. This will be a must attend session for any business owner who is interested in innovative ways to pay and reward their team. 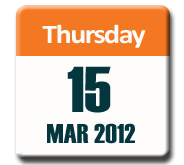 If you’d like to attend this event, email Fraser Hurrell before the end of 14 March 2012. And if you’d like to be included on the invite list for future events, just add your contact details in the box to the right.